Fly-fishing accessory company Loon Outdoors has named Headwaters Collective, a boutique PR firm specializing in outdoor industry and active lifestyle brands, its agency of record. Loon Outdoors, based in southern Oregon’s recreational playground of Ashland, specializes in fly-fishing and fly-tying accessories, with a strong regard for their product’s environmental impact. The brand’s product range includes fly-tying tools like scissors, dubbing spinners and bobbins, streamside tools like forceps, zingers and nippers to floatants and sinkets, harkening back to Loon Outdoors heritage as a company founded in chemistry in 1991. Loon Outdoors is the leader in innovative and environmentally friendly fly-fishing and fly-tying accessories. Founded in 1991, Loon’s growth into a globally recognized brand has been due to their success in developing products that perform at the highest level while honoring a commitment to protecting fish, fisheries, and fishermen/women. Loon Outdoors’ headquarters is located between the Rogue and Klamath rivers in Ashland, Oregon. 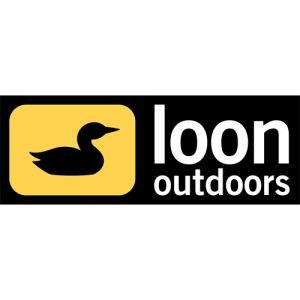 For more information, visit: www.loonoutdoors.com.